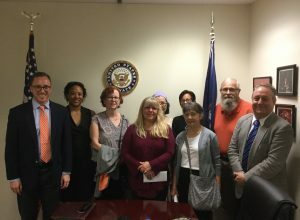 Today APV President, Rhonda Hening lead a delegation of APV members and staff to the offices of both Virginia Senators Kaine and Warner to deliver a letter of protest and concern regarding the latest Trump scandal: the forced separation, caging and drugging of minors including infants seeking asylum with their families in the United States. We had spirited and frank discussions with staff and made clear our anger and indignation at this embarrassment of a man and the administration he runs. 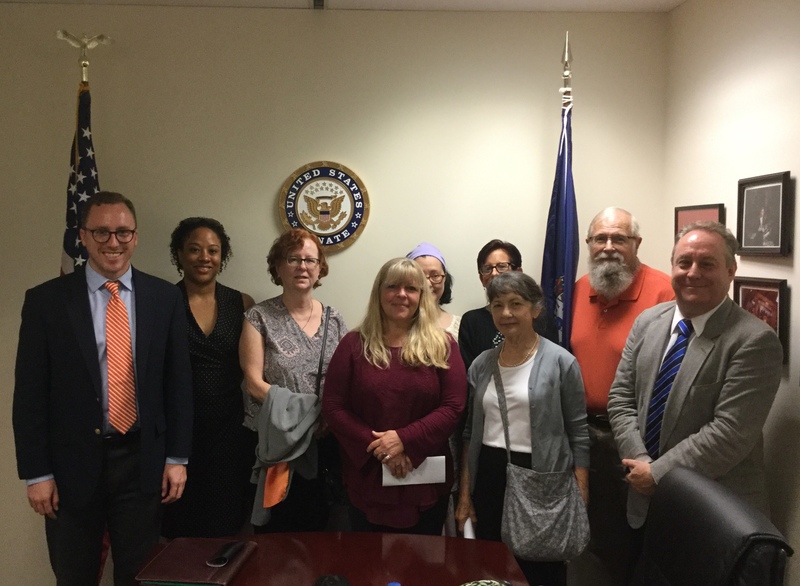 Along with the APV Kaine Letter june 21 18 we made several specific asks of the Senators including paying a visit to now infamous detention center near Staunton where children were allegedly beaten and abused, and to Abby and her family who are now under sanctuary here in Richmond. Below are some of the points we stressed today. This policy was an attempt at blackmail designed to get Trump his wall, We ask that you do NOT cooperate. 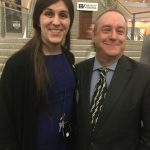 Oppose any strawman legislation that proports to end this practice, such legislation is unnecessary and only serves to confuse the public as to administration responsibility. As he proved on Wednesday this president always had the power to end this catastrophe with a pen stroke. Attend, support or participate in hearings that bring the appropriate department heads before you under oath and invoke Congressional oversite to investigate the origins of this “policy”. Hold human rights violators who have participated in implementing this administration’s plans accountable before the law. Join the call for the resignation of DHS Secretary, Kirstjen Nielsen whose statements during this crisis indicate either incompetence, dishonesty or both. Sponsor a motion of censure for the president and members of the Trump cabinet who have knowingly lied about this new program in public while committing a clear human rights violation by implementing this new policy. Join our call for the break-up of ICE. The Department of Immigration and Customs Enforcement. ICE is the product of the ill-advised conglomeration of various federal security agencies after 9-11. It has become a rogue, strongarm force for this administration and has lost the confidence of many Americans. It should be broken down to its constituent parts and demilitarized. Declare a moratorium on filling any more judgeships under this criminal and illegitimate administration until after the November elections, at the least. Thank You! to the APV members and staff who took time out of their day to come out and make your selves heard. 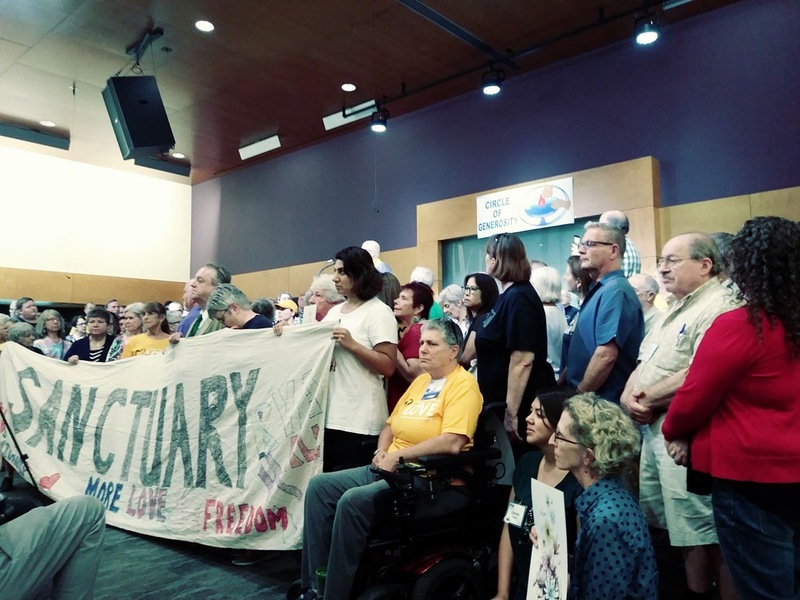 APV Policy Director Scott Price represented our organization today at a press conference to announce the first public act of sanctuary granted by a religious denomination in Virginia for a family fleeing persecution and facing arrest and deportation here. Many thanks to the large, ecumenical cross section of religious leaders and the other organizations in this coalition who stood together today. 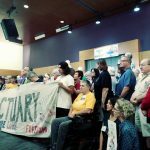 Special thanks to the First Unitarian Universalist Church of Richmond who are providing physical sanctuary going forward. And lastly, thank you Abby and your family for allowing us to be a part of your lives. We are humbled by your courage. “Each generation is called to judgement by history, so far ours hasn’t made much of an accounting of ourselves. We are faced with a cynical, corrupt and morally bankrupt administration that seems to have no floor to its behavior. We are asking our fellow citizens to stand up against this incompetent, childish tyrant. We know which side we’re on, do you? Join us… be counted.”Scott Price, speaking to reporters after the Wednesday Press Conference. 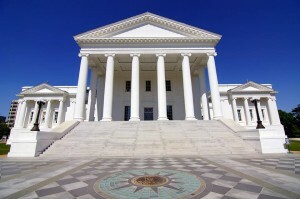 Virginia has become the 33rd State to expand Medicaid coverage. APV has lobbied for this year after year. We were told again and again that it couldn’t be done. Today, 23 senators, including 4 Republicans voted for a budget that does just that. 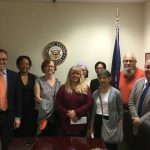 We are so proud to be one of the many organizations that fought to include over 300,000 uninsured Virginians in this important and successfully program. Congratulations and thank you to all our members who worked to make this happen. You’re voices did this! “We worked hard this session and the credit for this win goes to a lot of people, especially the grassroots folks who came out and made their voices heard.” Rhonda Hening, APV President. 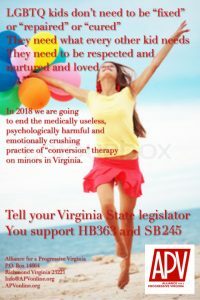 Ending Conversion Therapy In Virginia starts NOW! Once again our bills failed in party line votes in both chambers. While we came closer this year than we have in others, it will take more effort and work to move this issue through the General Assembly and on to the Governor’s desk. We don’t mind the effort. We’ll be back, working to protect our children from this dangerous and useless “treatment.” We owe it to our kids to fight for them. We want to thank the sponsors and our friends at Equality Virginia, The Trevor Project and Born Perfect for their help and support. Most of all we want to thank the brave survivors who came forward again this year to tell their stories. This fight is far from over and we are looking at other options that may bypass the roadblocks set up in the legislature. Stay tuned. 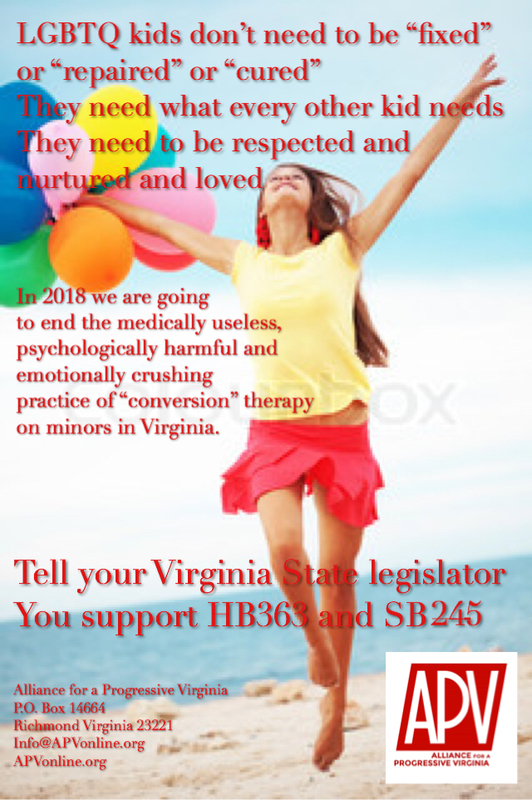 As we have in the past, APV has introduced legislation in both houses of the 2018 Virginia General Assembly to end the practice of so called Conversion, or Sexual Orientation Change Therapy on minors in the commonwealth by clinicians lisensed in Virginia. Conversion Therapy seeks to “cure” LGBTQ people. It is medically useless, psychologically dangerous and emotionally crushing. It needs to stop, NOW! Our Senate bill, SB245, sponsored by Senator Scott Surovell, (Arlington), is before the crucial Senate Education and Health committee tomorrow morning. 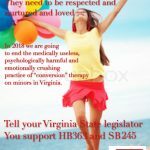 If you live in Virginia, please contact your state Senator and ask that they support SB245! If you have a Senator who is on this committee list, please contact them and ask that they vote in favor of this important legislation. Tell them no one with a medical/clinical license in Virginia should be using that authority to damage children with quack medicine. You can not cure what is not an illness! 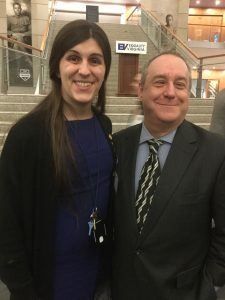 Congratulations Virginia! You just made history and sent a message that is being heard around the nation. 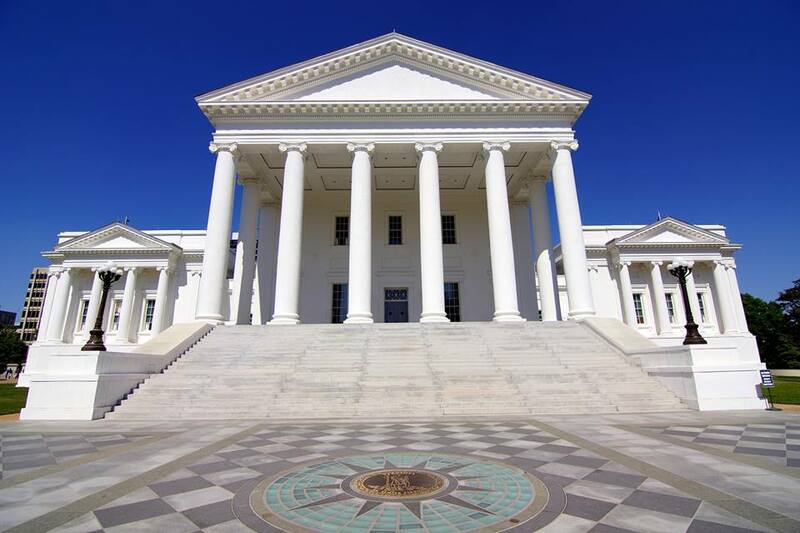 For seven years APV has been at the Virginia General Assembly in Richmond working to protect the most vulnerable members of our society from a rapacious and downright cruel brand of modern conservatism. It hasn’t been easy and we’ve lost more fights than we’ve won but we never gave up. On November 7, 2017 the tide turned. The historic electoral victories across the Commonwealth are cause for serious celebration and we here at APV are certainly enjoying the moment, but we aren’t planning on resting for long. There’s a lot of work to do in the coming months to get ready for what will be a very different General Assembly session in 2018. We need your help if we are going to capitalize on the gains made on election day. 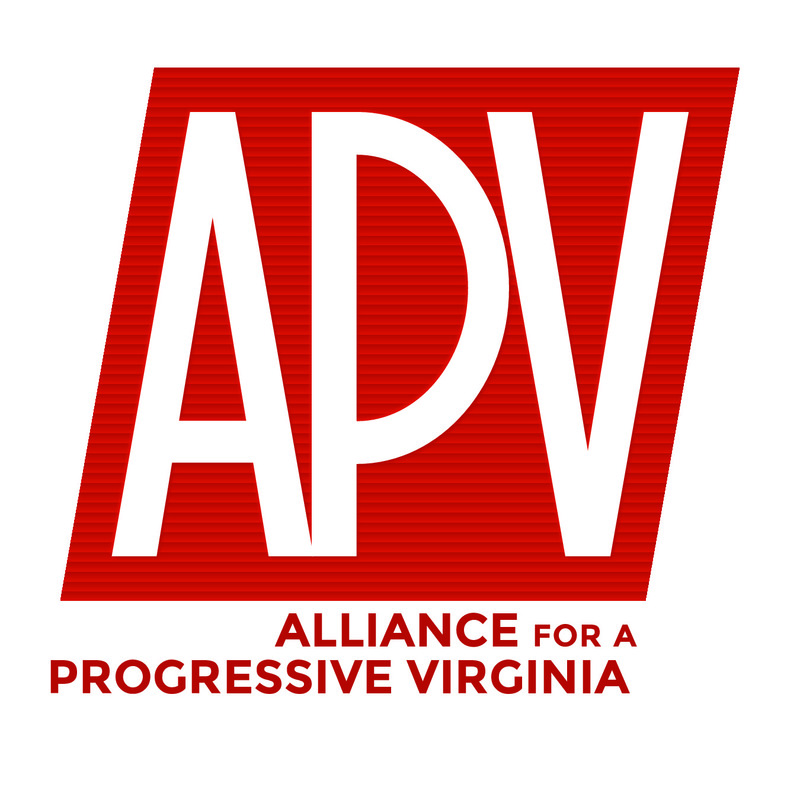 Will you consider making a $25 donation today to the Alliance for a Progressive Virginia. We have an historic opportunity before us, you can help us make the most of it. Paid for by RVA Alliance Inc.. RVA Alliance Inc. DBA, APV, is a 501(c)(4) organization. APV primarily focuses on nonpartisan education and advocacy on important local, state and national issues. 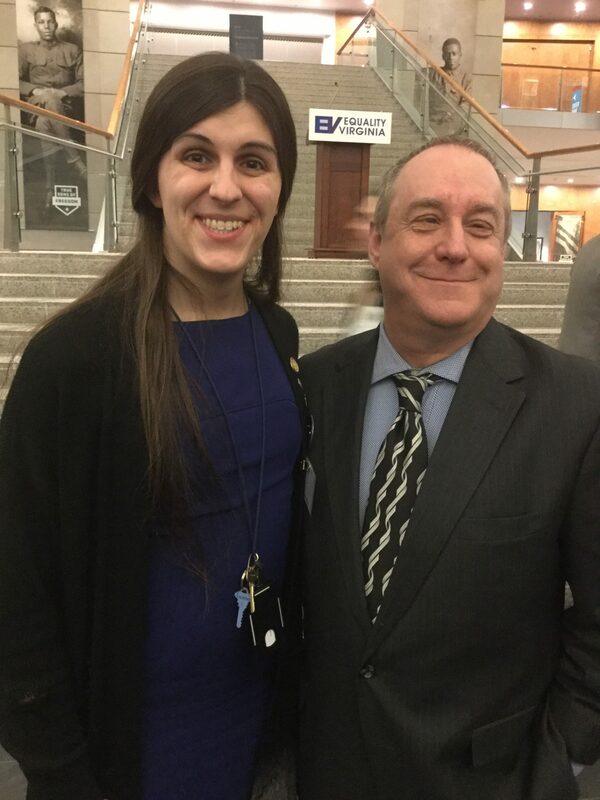 Copyright © 2019 Alliance for a Progressive Virginia.